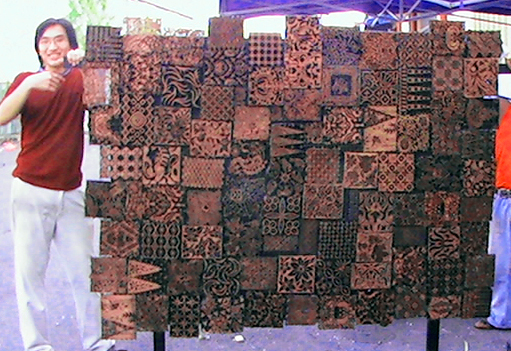 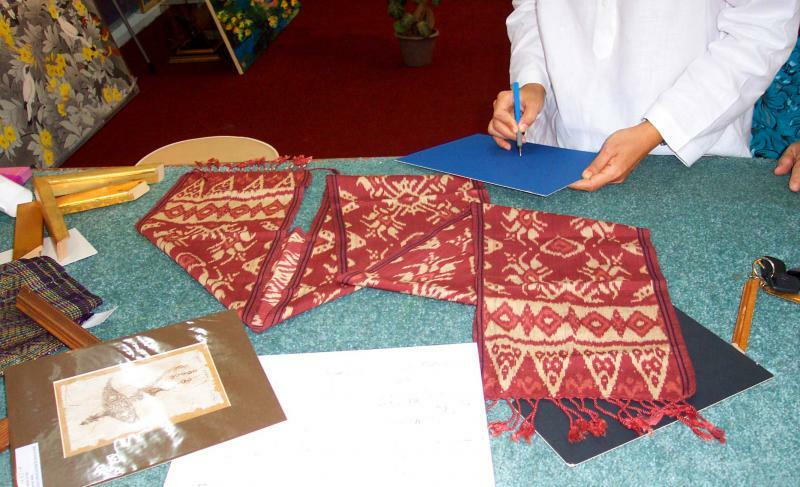 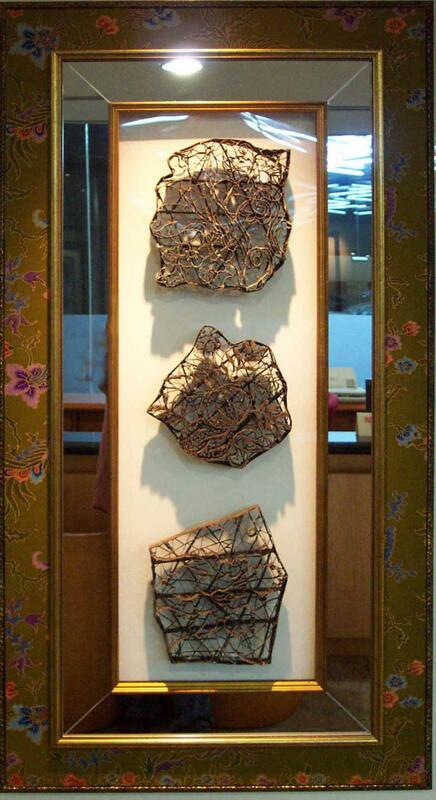 Batik stamps framed in traditional and contemporary style using mirrors, clear perspex and hand painted batik fabric as border. 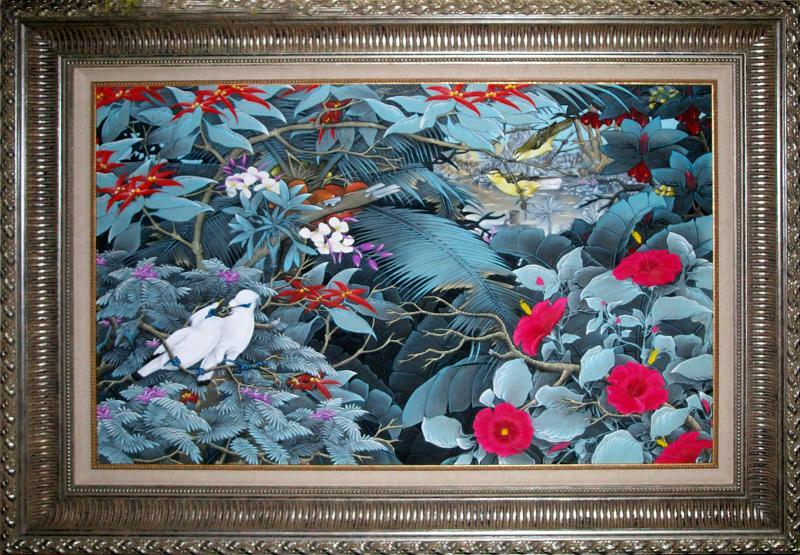 Whether you need frames for photographs, awards, antiques, art, mirrors, artworks, paintings, our staff will turn every project into an attractive masterpiece. 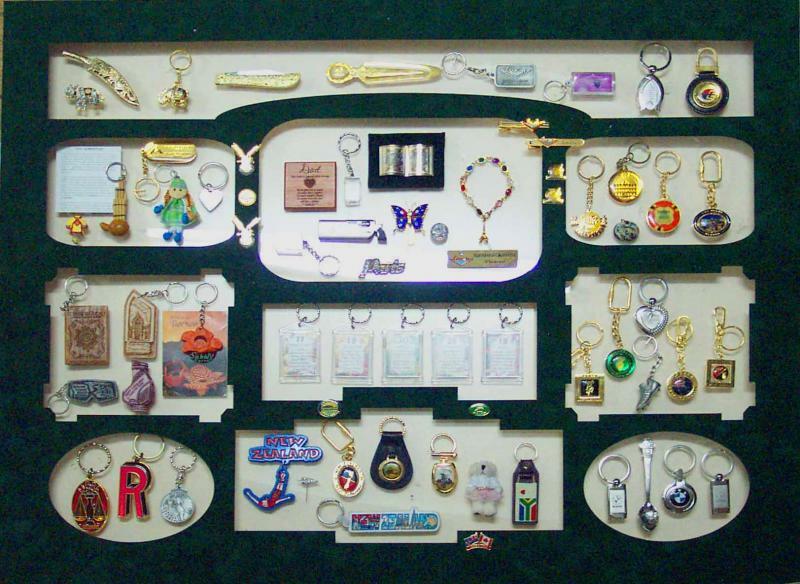 All work is handled by our experienced staff.You can expect superior quality in service and materials for all your treasures and a wonderful selection of art - for every taste and budget. 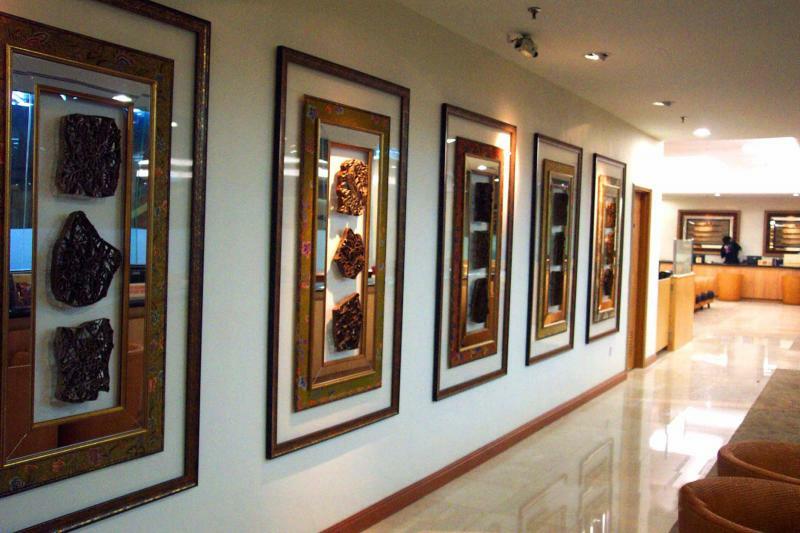 One of our corporate framing projects for an airline office. 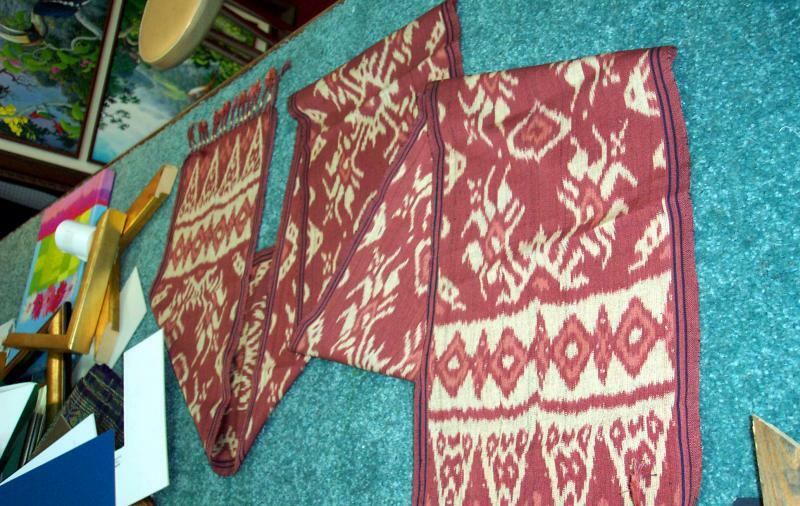 Colour matching is always very important to a finished frame. 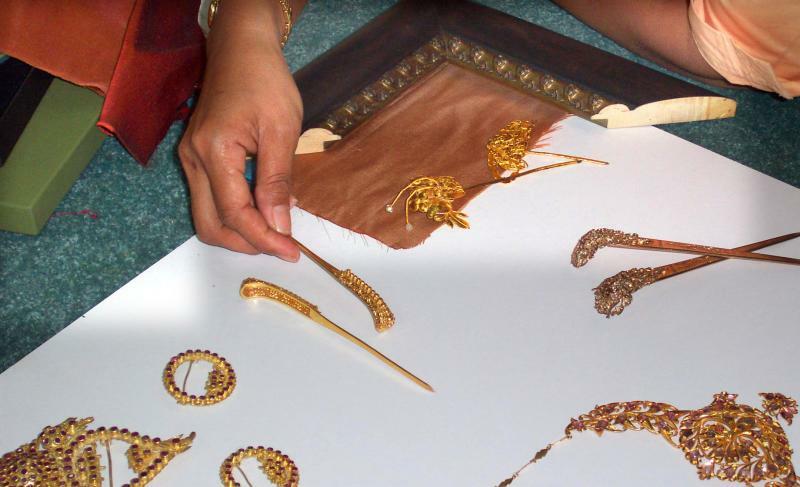 For this project we used terracotta brown raw Thai silk as the base and an oriental styled lacquered frame for these gold accessories. 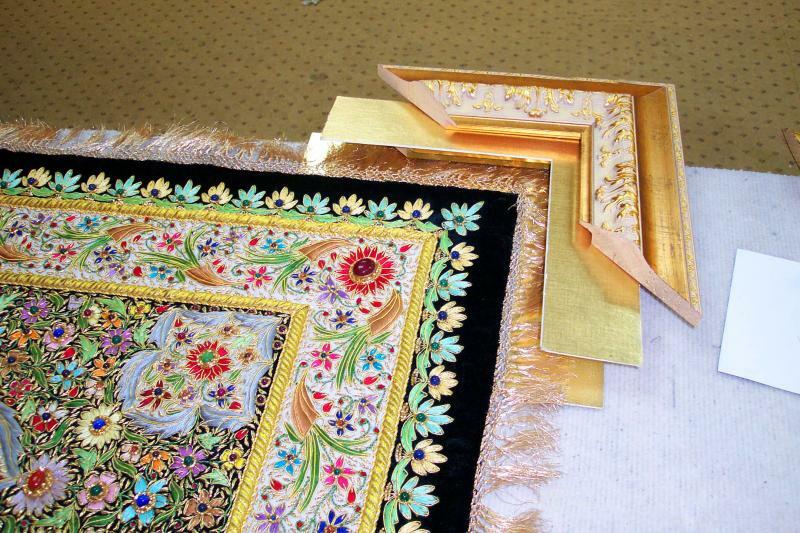 After discussing with our customer about his home decor concept we decided to use a gold guilded ornate frame along with a matte gold border for the framing of this precious stone carpet. 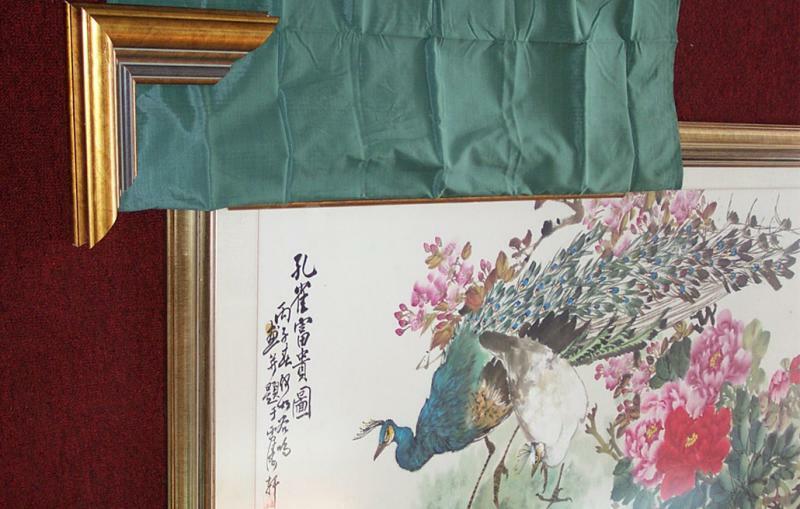 A matching fabric border was choosen to match the colour of the peacock.. at Talens Frames Gallery only the best available materials are used to enhance and preserve your artworks. 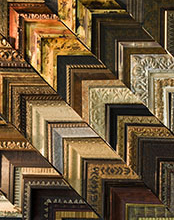 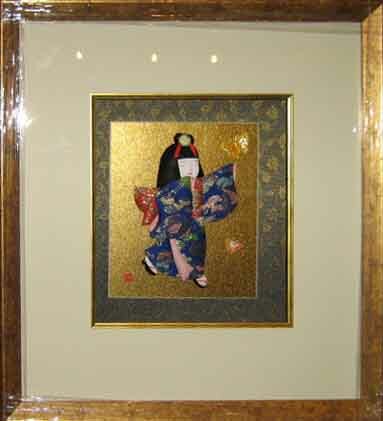 Our trained picture framer staff will advice you all the options to make your finished framing look beautiful as well as long lasting. 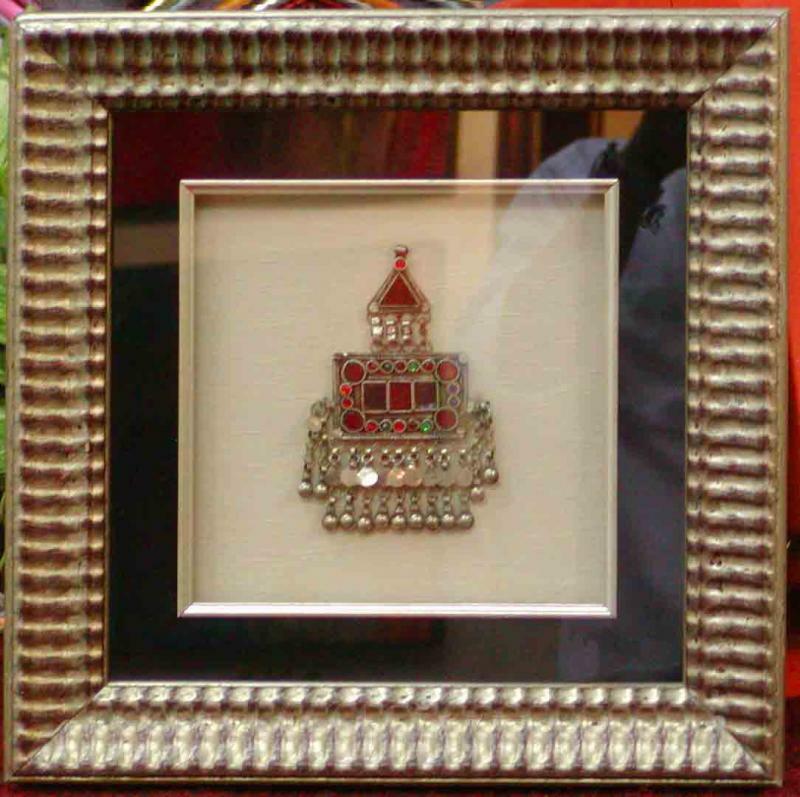 a wide variety of frames to choose from..
A crosstitch framed up as a functional clock. 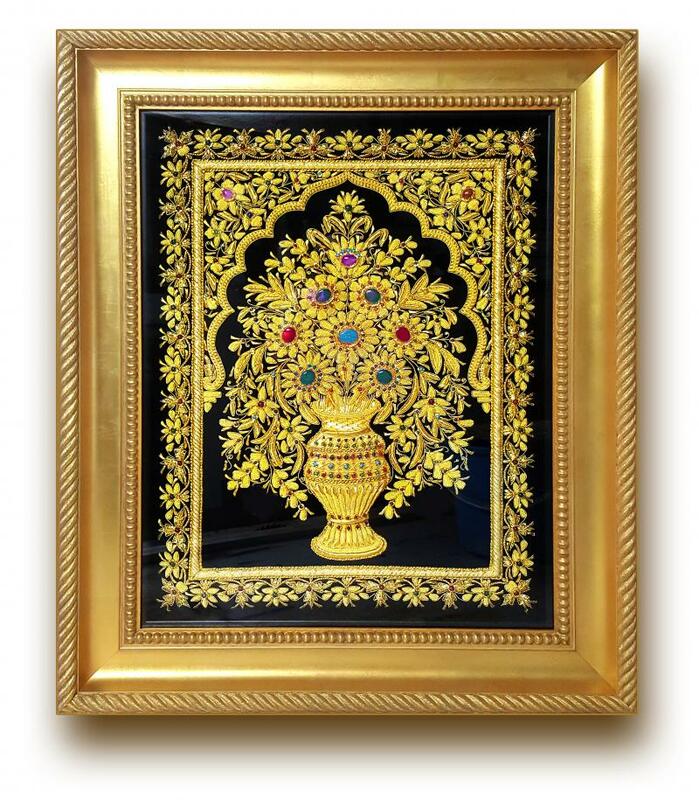 We always us the best materials available to make your precious items or artworks good to look at as well as long lasting. 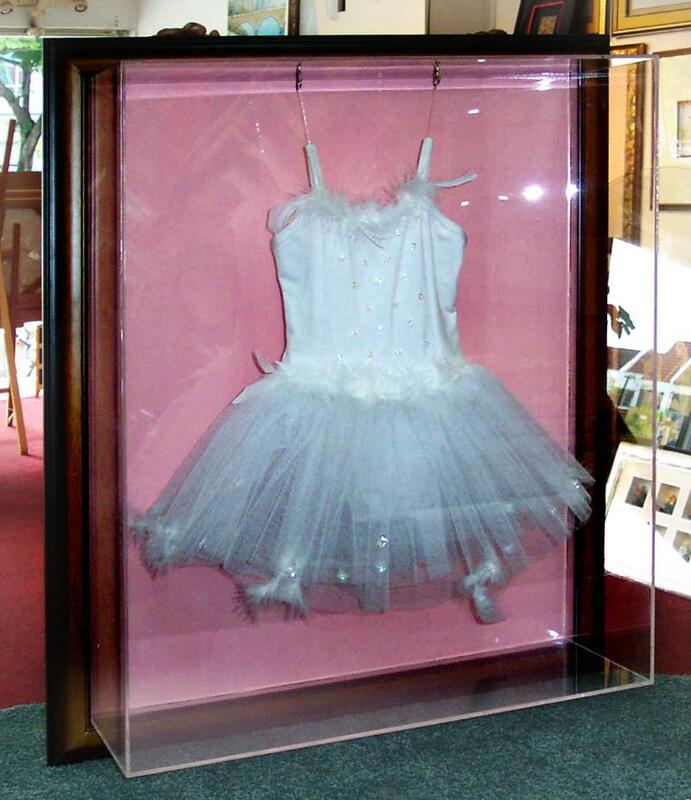 this cute dress elegantly suspended in a clear acrylic shadowbox matched with a brown mahogany frame. 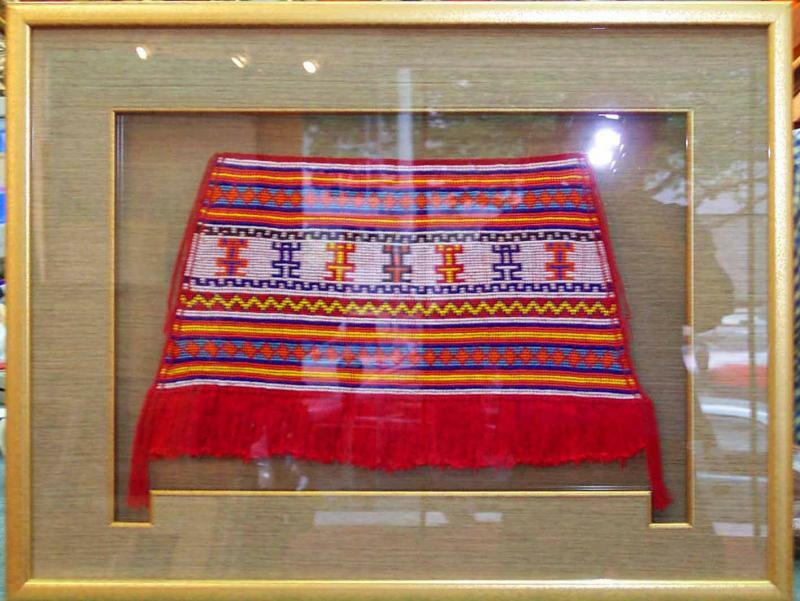 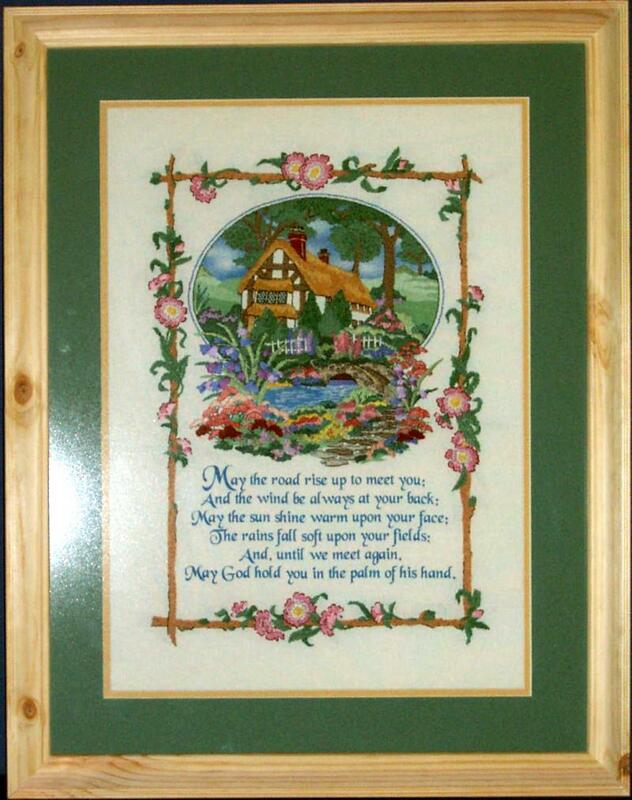 crosstitch framed with pine wood to give a country look.